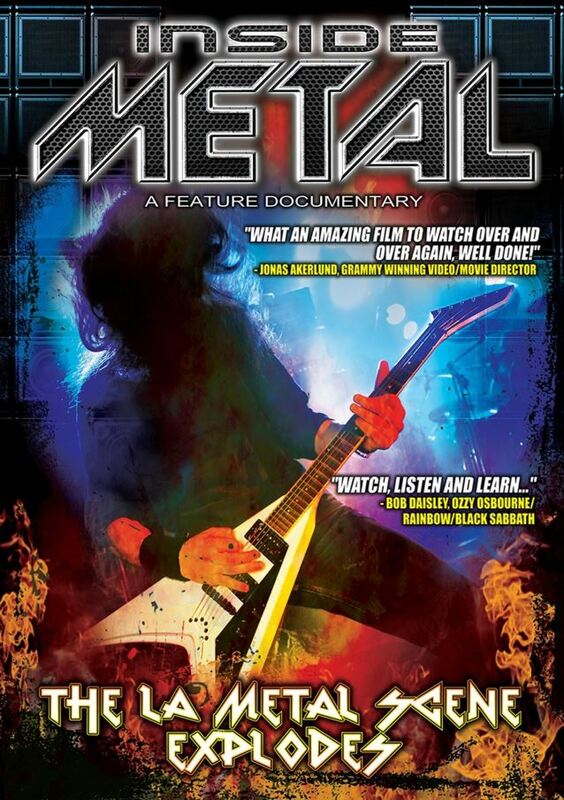 A video recap of the Los Angeles screening premiere for the documentary film "Inside Metal: LA Metal Scene Explodes" (MetalRock Films) — which took place June 2 at The Attic in Hollywood, California and June 6 at Regency 6 in North Hollywood, California — can be seen below. The video features several candid interviews with many of the musicians and industry professionals that attended the two screenings. "LA Metal Scene Explodes" is the second, two-volume title in the "Inside Metal" documentary film series which begins where the critically acclaimed debut movie, "Pioneers Of L.A. Rock And Metal", left off. Featuring in-depth interviews with metal icons as well as many pivotal players, including musicians, managers, journalists and label execs, "Inside Metal: LA Metal Scene Explodes" covers the era from 1981 to 1986 when the local hard rock and metal scene took Los Angeles by storm. "Inside Metal: LA Metal Scene Explodes" can be streamed and/or purchased via iTunes, Amazon Prime and Google Play. Part 2 of the movie will be available August 12.